Aaron Finch will lead a confident and experienced squad to the World Cup. Aaron Finch (c), Jason Behrendorff, Alex Carey (wk), Nathan Coulter-Nile, Pat Cummins, Usman Khawaja, Nathan Lyon, Shaun Marsh, Glenn Maxwell, Jhye Richardson, Steve Smith, Mitchell Starc, Marcus Stoinis, David Warner, and Adam Zampa. Finch, Maxwell, Starc, Smith, and Warner are the only players from this squad to have featured at the 2015 Cricket World Cup, where Smith was their leading run-scorer and Starc their leading wicket-taker. The biggest point here is the inclusion of Steven Smith and David Warner following a one year ban for ball tampering. Both have found form at the ongoing Indian Premier League - Warner is currently the leading run scorer and Smith has found some form as an accumulator - and both have the experience and tactical nous to aid Australia's title defense. While both of them are among the first names in the playing XI, how they fit in and who they replace is a question without an answer as of now. With Aaron Finch finding form in the recent one-day series against Pakistan and Usman Khawaja scoring 655 runs in his last ten innings, their success as an opening pair might have to make way for Warner's inclusion at the top of the order, with Khawaja dropping down to the no.3 position followed by Smith at no.4. 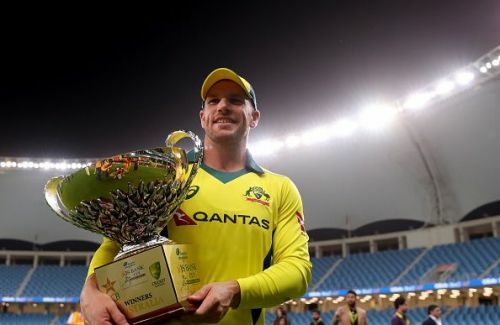 Peter Handscomb did not find a spot in this squad after the inclusion of Smith and Warner and will feel hard done by after averaging 43 in 13 ODI matches this year. However, he will be traveling with Australia's A team for a one-day series that will happen concurrently with the World Cup, and will, therefore, be the ideal replacement should any top-order batsman suffer injury. Pat Cummins appears likely to take the new ball and is likely to be a part of the team's leadership core. Josh Hazlewood finds himself omitted after a lack of match practice following his back injury earlier this year. 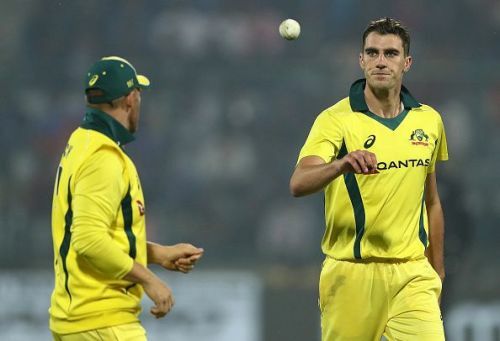 He was expected to take the new ball with Mitchell Starc, fitness permitting, but a wealth of alternatives in Pat Cummins, Jhye Richardson, Jason Behrendorff, and Nathan Coulter-Nile meant that there was no place for him in the squad. Starc and Richardson have been selected subject to fitness, but appear to be on track to recover before Australia's opening game against Afghanistan on June 1. Glenn Maxwell and Marcus Stoinis are the only all-rounders selected, but whether they both play or only one plays comes down to form and conditions. Stoinis has been a consistent performer for Australia since his debut and Maxwell impressed with three half-centuries against Pakistan recently. While one of them will play at all times, the other will essentially be competing with Shaun Marsh for the remaining position in the batting line-up, with wicketkeeper Alex Carey batting at no.7. Adam Zampa appears to be the primary spin bowler for Australia with 18 wickets in his last 10 ODI matches. Nathan Lyon's selection comes down to whether conditions necessitate an extra spinner or not. Backup options include Handscomb, Travis Head, Matthew Wade, Kane Richardson, and Hazlewood (fitness permitting). Mitchell Marsh appears to be out of contention but runs and wickets in England could suggest otherwise. Prediction: A team as competitive as Australia will not settle for anything less than a World Cup title, but a semi-final appearance is not out of the question. How they play against spin bowling and how their bowling fares on flatter tracks will go a long way in determining that.